Anyway, as we could expect, Heirs was the big winner of the evening with 7 awards out of 8 nominations – including best drama, best actor (Lee Min-ho) and best actress (Park Shin-hye)! The only one they missed was the Best Bad Boy award which went to Jung Kyung-ho (Heartless City) instead of Kim Woo-bin. Gu Family Book and Good Doctor did not even get a single award in spite of 5 nominations each, while The Master’s Sun (unanimously the most popular drama on streaming platforms) managed to get two awards out of 2 nomiations. That Winter The Wind Blows also missed any chance of award. In the variety category, no surprise, Running Man won the Best Variety Show award, but also the Best Kiss award (Song Ji Hyo and Kang Gary) out of 4 nominations. 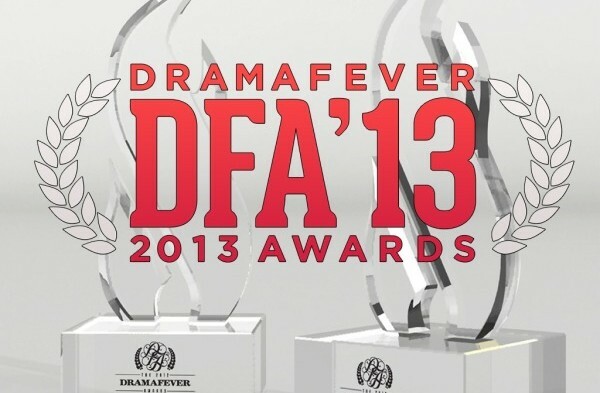 The remaining awards went to Flower Boy Next Door (Best Ensemble) and Heartless City (Best Bad Boy). Like you, we had taken part in the votes and managed to get 9 correct votes. Our votes were based on the merit of each dramas, but also the popular the dramas and the actors enjoy. Therefore, although questionable, Heirs was clearly the most popular drama in the selection and its actors all enjoy high popularity. That might explain why we and many fans voted for Heirs, Lee Min-ho, Park Shin-hye and Kim Woo-bin. The good surprise was for Heartless City, which is actually very popular on DramaFever. Maybe, one drama missing this year was Two Weeks, given its universal emotional power and the quality of Lee Joon-gi’s acting. Beyond the results, the ceremony was also an amazing occasion for the U.S. fans to see some of the most talented actors on stage. 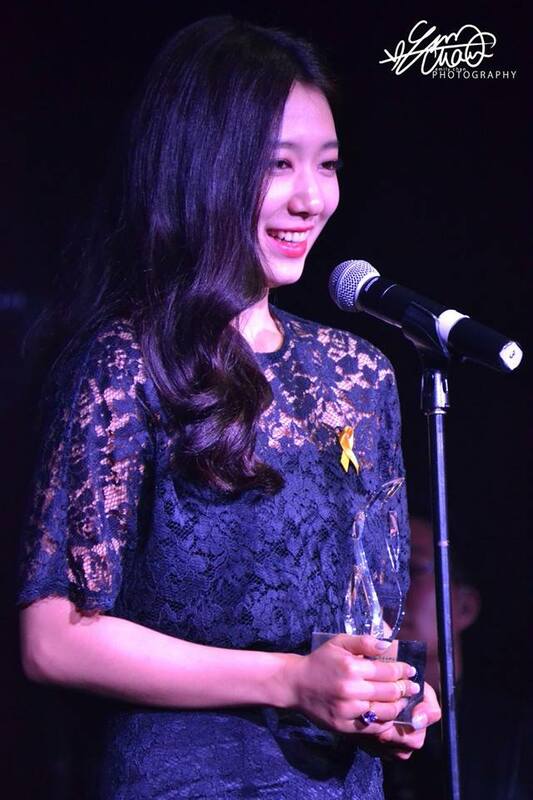 Taiwanese actor Chris Wang and Korean actress Park Shin-hye made the honour of their presence, with Park representing ultra-successful Heirs. Unfortunately for Chris Wang, there was no awards, so his attendance was all the more a gift to the fans. 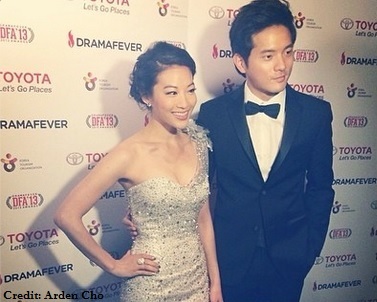 Hosting the ceremony was also rising Korean-American actress Arden Cho – whom we introduced in a previous article. For those who had the chance to attend, or those following from afar, what are your thoughts both about the results and the event?